DUBAI, UAE: Ramada Downtown Dubai has been named as Wyndham Hotel Group’s Wyndham Rewards 2016 Top Enroller in the EMEA region. The award was presented during the group’s annual global conference in Las Vegas, USA. 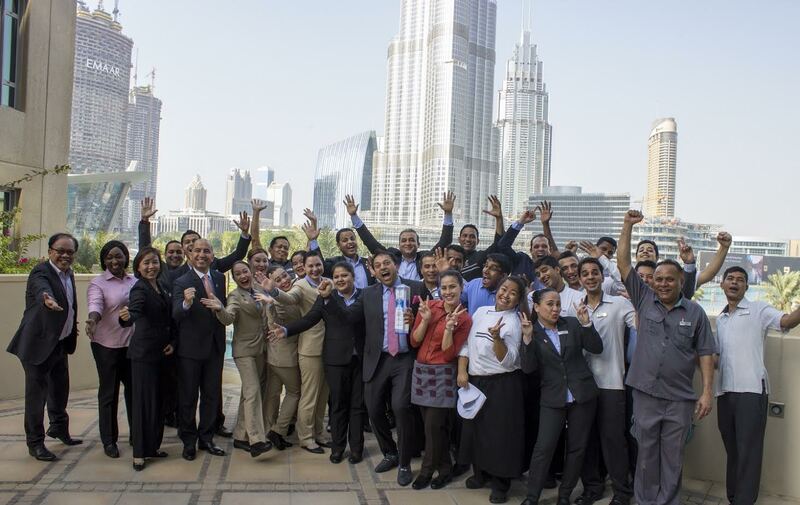 Ramada Downtown Dubai led Wyndham Hotel Group’s loyalty program enrolment, beating more than 400 properties across Europe, Middle East, Eurasia and Africa. Ramada Downtown Dubai is owned and managed by R Hotels. Ramada Beach Hotel Ajman, which is also part of R Hotels, bagged the second spot for the highest number of enrolment in the loyalty scheme. Ramada Downtown Dubai is located within the city’s vibrant commercial and tourist centre. The hotel provides a great view of BurjKhalifa, the tallest building in the world, and overlooks the spectacular Dubai Fountain. It is a short walk away from The Dubai Mall, as well as to a wide array of dining venues along Downtown Dubai. Its prime location makes it ideal for all types of guests – business travellers attending conferences and exhibitions, extended holidays for families, or guests on short Dubai getaway. The hotel offers a modern luxurious city suite living with its spacious accommodation and tasteful interiors complemented by an outstanding service. Guests can choose from a range of options including a junior suite, one-bedroom suite, two-bedroom suite and the luxurious four-bedroom penthouse. Kenza Restaurant, located at the hotel’s second floor, is an all-day dining venue that serves a delectable selection of local and international dishes. The hotel amenities include a well-equipped gymnasium and a large outdoor swimming pool where the guests can rejuvenate and relax amid the hustle and bustle of the city.